You can order the figures by Clicking Here. On Wednesday, April 17th, Super 7 will be releasing a bunch of new ReAction Figures. 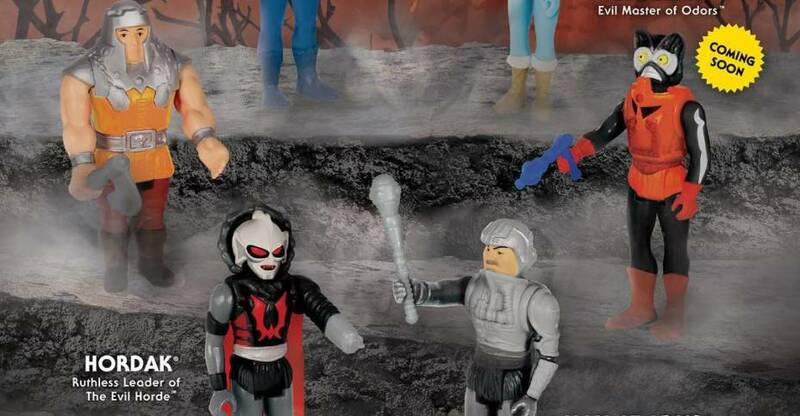 Those include the assortment of Masters of the Universe ReAction Figures that we reported on yesterday. In addition to those, Super 7 will have a new wave of The Worst, as well as a new repaint of the Phantom Starkiller. Check out those details below, and see the official photos after the jump. You never forget your first Worst… They’re back! Super7’s original gang of The Worst is back for a limited time in these fancy new recolors: Batula! Black Falcon! Gas Phantom! Robot Reaper! Snake Tut! X-2 (The Unknown)! It wasn’t so long ago that this first wave of The Worst captured the imaginations of trouble makers everywhere. They’ve been gone… but not forgotten! Now they’re back… for now. There are good guys. There are bad guys. And then there are…“The Worst”! This will be a limited edition release that drops next Wednesday (4/17) only from Super7. Out next week: The Cosmic Ghoul Warrior returns as the Super7 x Killer Bootlegs collaboration continues with the Maroon Horned King Phantom Starkiller 3.75″ ReAction Figure! This will be a limited edition release in the Super7 webstore next Wednesday (4/17). Please set your alarms and alerts! Super 7 debuted some new items at New York Comic-Con 2018. 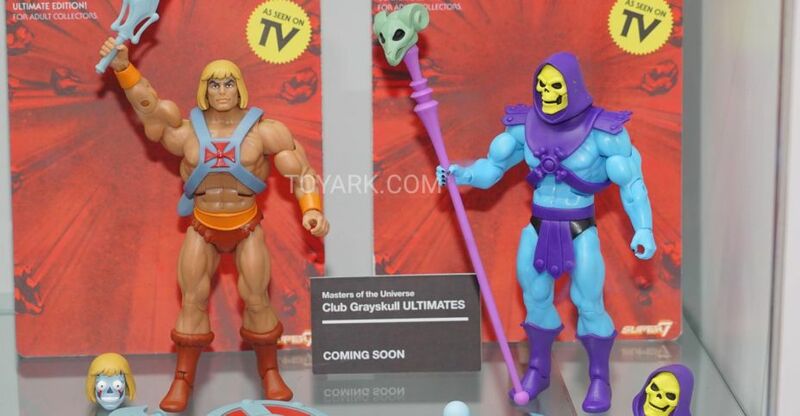 They are releasing Masters of the Universe Filmation Ultimate Figures and new figures based on the Netflix She-Ra cartoon. They also had other MOTU, ReAction and more on display. Phantom Starkiller – Super7 x Killer Bootlegs Collaboration 3.75″ ReAction Figure. NYCC 2018 Debut. $15 each. 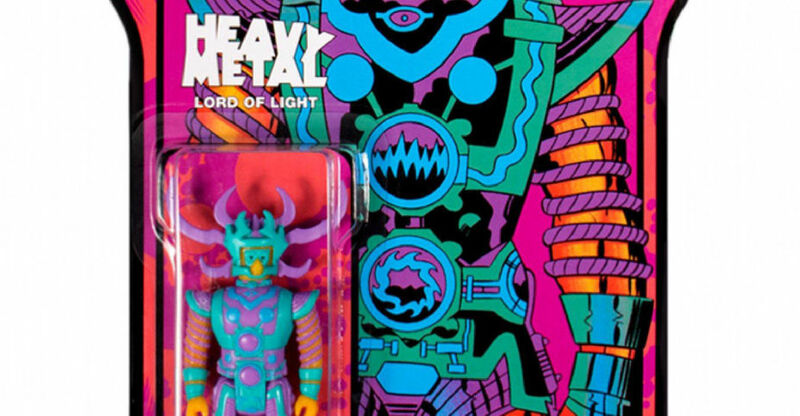 Lord of Light – Original Version – Super7 x Heavy Metal Magazine Collaboration 3.75″ ReAction Figure. NYCC 2018 Debut. $15 each. Hellboy 3.75″ Wave 2 ReAction Figures 3-Packs. 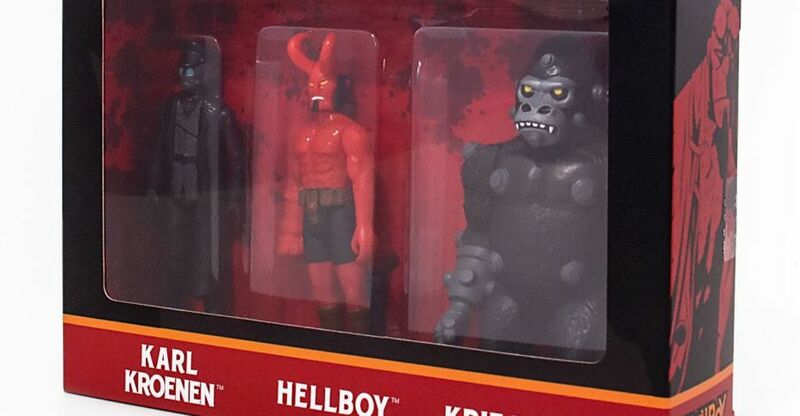 Pack A with a new Hellboy (with horns), Karl Kroenen, and Kriegaffe Ape and Pack B with new Hellboy Version 2 (with no horns), Rasputin, and Johann Kraus. NYCC Debut. $45 per 3-pack. Our sister site TFW2005 has details on their Transformers NYCC 2018 Exclusives. 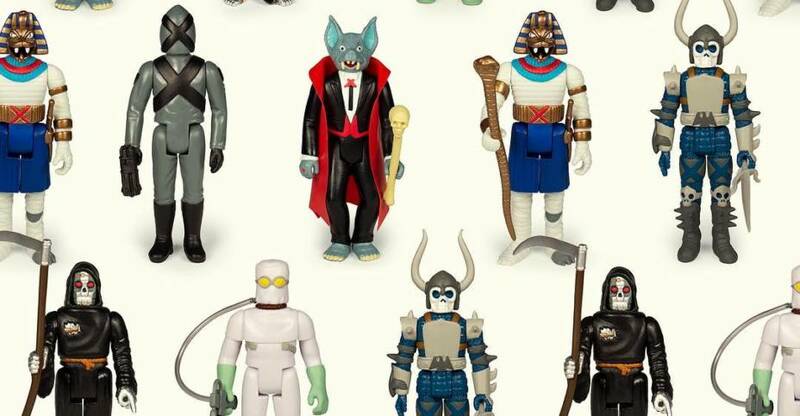 Super 7 also has some pins and Halloween Decorations, which you can check out from their Blog. You can see photos and additional details for the above items by reading on.